Hope lies in understanding the full implications of being in the presence of God – not just God’s close, personal intimacy, nor God’s compassionate healing, nor God’s generous and abundant sustenance and feeding, but the awful power of forgiving love that brings discord into harmony. Bring us, O Lord God, at our last awakening into the house and gate of heaven, to enter into that gate and dwell in that house, where there shall be no darkness nor dazzling, but one equal light; no noise nor silence, but one equal music; no fears nor hopes, but one equal possession; no ends nor beginnings, but one equal eternity in the habitations of thy glory and dominion world without end. Amen. 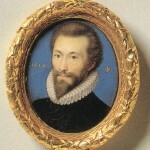 John Donne is commemorated by the Anglican Church on 31 March.